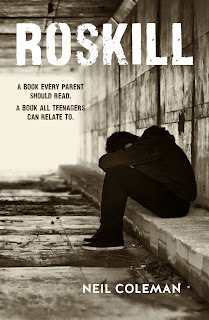 Neil Coleman | Author of Roskill and Talk to Me: I need your reviews---read on! Thank you to the many of you who have downloaded my book (soon to be books!) As a self-publisher, I need reviews and I know that this can be a pain and take a little time. If you have a Kindle or a reading App please, connect to my website in order to download the book---ROSKILL. 1) Did you like the story? 2) What did you think of it? 3) Did the story make you sad, happy or-----? 5) Did you identify with any of the characters? 7) Was the writing style right for you? 8) Would you recommend the story to a friend? OR--- JUST DO YOUR OWN THING!